The transfer of thermal energy. The transfer of thermal energy. 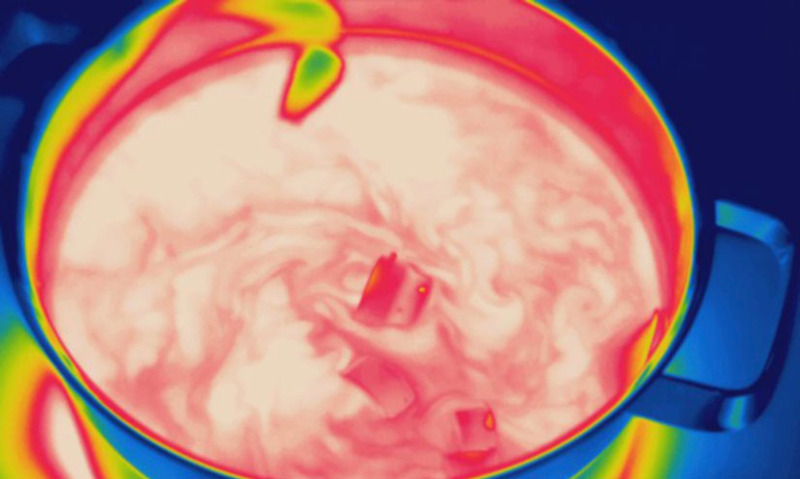 Heat is transferred between particles when they vibrate and hit into each other. Heat energy always passes from a hot region to a cooler region. Not to be confused with temperature, which is related to the kinetic energy of the particles within a system, whereas heat is transfer of energy. Heat energy always passes from a hot region to a cooler region. Not to be confused with temperature, which is related to the kinetic energy of the particles within a system, whereas heat is transfer of energy.